Liv Tyler has given birth to her third child, Lula Rose Gardner. The 'Leftovers' star has shared the first picture of her third child, Lula Rose, who she welcomed into the world with her partner Dave Gardner. Captioning a photo of the little girl, she wrote on Instagram: "Hello!!!!! our beautiful baby girl is here !!!! Lula Rose Gardner, we are sooooo happy, heart exploding with love !!!! 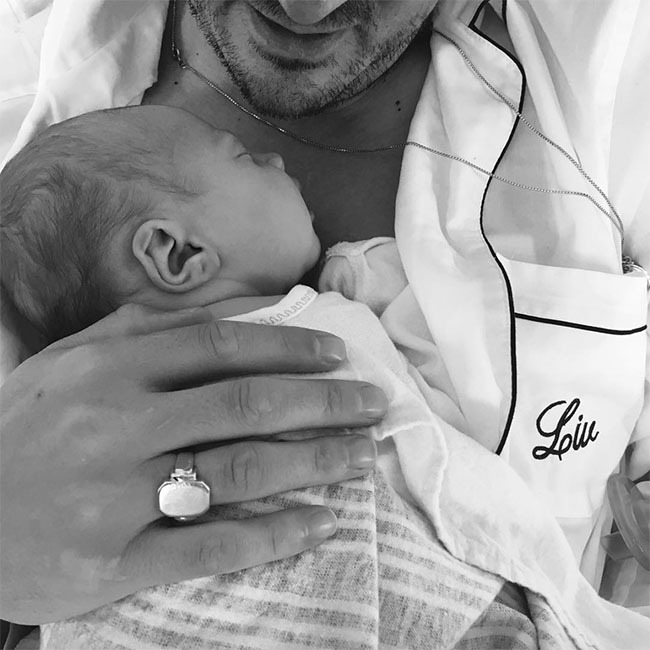 @davidgardner (sic)"
Whilst David captioned the same picture: "Our gorgeous baby girl has arrived "Lula Rose Gardner" unbelievably beautiful, healthy and thank goodness she looks like her Momma !!!! Truly blessed. Daddies girl....Now the real work starts training her big brothers to all become Ninja's, Martial Arts Experts & 24-7 Body Guards !!! @misslivalittle (sic)"
Meanwhile, the 39-year-old actress - who also has Milo, 11, from her previous marriage to Royston Langdon and 16-month-old Sailor with Dave - is no doubt thrilled to have given birth to little Lula as she previously revealed she feels like she's been pregnant "forever". She said: "I have been pregnant for two years straight. It feels like forever." And the couple are planning to spend more time in the UK next year as they are currently going "back and forth" a lot and think it would benefit the kids - including Dave's eight-year son Gray - if they are all together in one place. She shared: "We are back and forth. I am still mostly in New York but spending a lot of time here. David's son is here and also his job. It's hard. It's beautiful. It is what it is. It's what we signed up for. It's an evolving thing. "Next year we are going to be here for sure, for school, so the children can all be under one roof for at least the school year."